I am not asking you to help me. I’m asking you to help your brother. That’s the same thing now, isn’t it? There was a time when Johnny Depp was the most underappreciated actor in Hollywood. Starring turns in films like What’s Eating Gilbert Grape, Ed Wood, and Edward Scissorhands proved him to be an oddball with the ability to humanize characters who were, themselves, outsiders. He was critically acclaimed, though not beloved by the general public. Depp was an actor in those days – not a movie star. That all changed with 2003’s Pirates of the Caribbean: Curse of the Black Pearl, that franchise and career-building tentpole that launched Depp to international stardom. He was typically great in it and the public finally took notice, transforming him into a box office titan overnight. But Black Pearl also marked the beginning of a steady decline in the quality of Depp’s work as the actor delved into more heavy costuming, too many Tim Burton collaborations, and some bafflingly bad project choices (Mortdecai, anyone?). For Depp’s previously acclaimed career, there does seem to be a curse lingering in the wake of the Black Pearl: the curse of a decade of increasing irrelevance. How exciting then that Black Mass marks Depp’s return to serious acting after years in the Wonderland wilderness. Director Scott Cooper’s (Crazy Heart, Out of the Furnace) third film tells the story of the unholy alliance between South Boston gangster James “Whitey” Bulger and the FBI, a relationship that permits Bulger’s transformation into a powerful crime boss with government protection. Abetting Bulger’s activities is FBI agent John Connolly (Joel Edgerton), a fellow son of the Southie projects, who returns home to clean up the city. But a “clean” city means different things to different people, and to Connolly it means ridding Boston of Italian mobsters — not the men like Bulger who supported and defended him as a child. He offers Bulger the chance to become an FBI informant in exchange for the bureau turning a blind eye towards Bulger’s activities, as long as the gangster provides them with intelligence on the Irish mob. He can run his own business unchecked and take out his competition in the process. It’s a proposition that even the rat-hating Bulger can’t pass up. The rest of the film follows Bulger’s growing criminal activities as Connolly attempts to shield him from questioning supervisors. Complicating matters are Bulger’s brother Billy (Benedict Cumberbatch), a high-ranking Massachusetts politician whose tenuous connection with Whitey is both culturally expected in south Boston and political dynamite. Cumberbatch, Edgerton, and an underused Jesse Plemons and Corey Stoll all do excellent work in supporting roles, but the film belongs entirely to Depp. Depp’s Bulger is a brutal figure who stands out even when he’s surrounded by other criminals — even when he’s the quietest voice in the room — and Depp’s piercing blue contacts seem to indicate the frozen depths of the mobster’s soul. He’s the type of man who can only find fulfilment in vengeance and shipping weapons stockpiles back to Ireland for the IRA. Depp’s portrayal is subdued, more Hannibal Lecter than Scarface, highlighting his brutality in brief, unexpected flashes and a menace that lurks beneath the surface. It’s his best performance in years, dating back at least as far as Sweeney Todd. When a drunken associate stupidly tries to fight him, Bulger says “Take your shot, but make it your best. ‘Cause I get up, I eat ya,” and you believe every word. If only Depp’s costars had characters to match him. Everyone does serviceable work, but it’s the writing that is lacking. I couldn’t help but wonder what, exactly, Edgerton’s Connolly got from his relationship with Bulger. Loyalty and neighborhood ties are one thing, but they don’t mean much when you’re staring down a 40-year prison sentence. Especially if you’re operating from opposite sides of the thin blue line. Connolly continues to back Bulger far past the point of personal benefit, even when Whitey’s own men begin using pleas as a way out of long-term prison stays. If you’re hoping for a DeNiro/Pacino matchup like the one in Heat, you’ll find the Pacino cop character sorely lacking. The Departed did this same Whitey Bulger-inspired story better, even while veiling its character inspirations. Cooper’s film borrows heavily from Goodfellas, but it’s not making any effort to hide that fact. An opening scene featuring newcomer Kevin Weeks (Plemons) quickly rising from bouncer to Bulger insider may as well contain the quote “As far back as I can remember, I always wanted to be a gangster.” A later dinner conversation where Bulger intimidatingly confronts Connolly’s partner for too easily handing over a “secret family recipe” is an obvious retread of Tommy Devito’s “How am I funny?” Now, I don’t find any of that particularly bothersome. 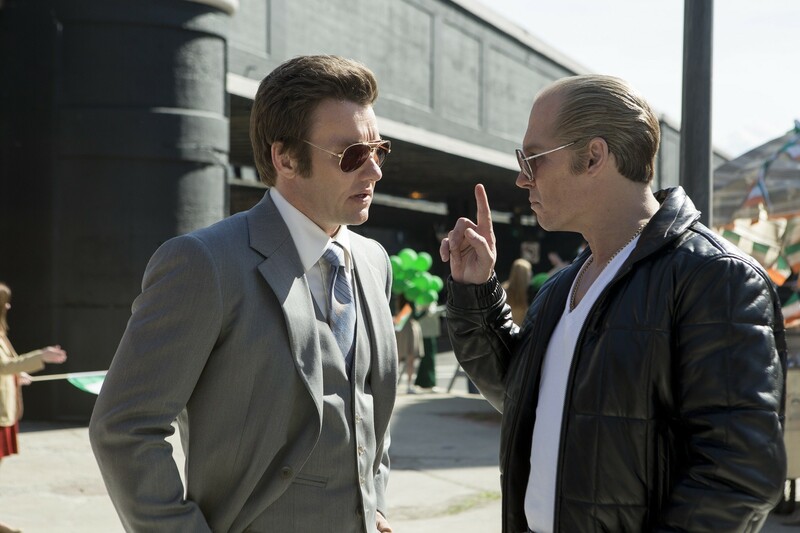 Our greatest films all take old ideas and use them in new ways, but Black Mass never builds to anything new. I’ve seen an ice cold crime lord before. 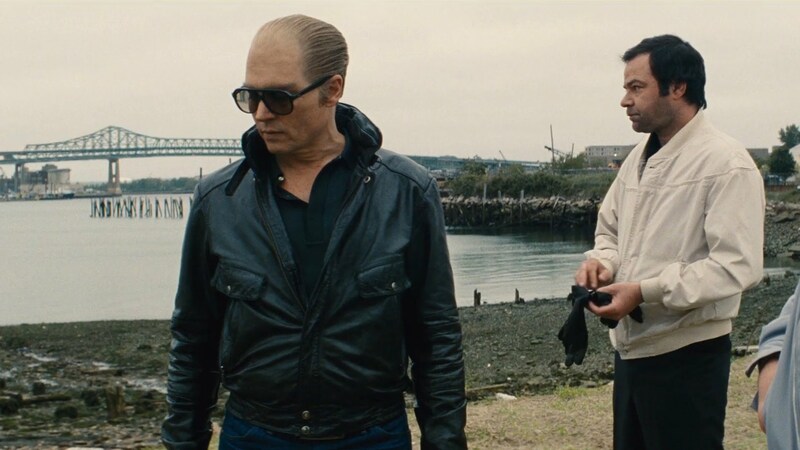 If Black Mass feels like it’s missing a third act, that might be because it probably is. Cooper’s original cut of the film reportedly ran nearly three hours which means that almost an hour of footage was cut to achieve Black Mass’s 122 minute runtime. Lost in this cut is Bulger’s 16 years hiding out from law enforcement and the entirety of Sienna Miller’s performance as Bulger’s girlfriend, Catherine Greig. Cooper claims that the cuts were made for “pacing reasons,” and that Bulger’s time on the run simply proved less interesting than the earlier parts of the story. But I can’t help but wonder if that last hour of story would’ve added a little more meaning to the film. What does it contain? A Fisher King-like Bulger entering old age with no sons to leave his empire to? Maybe a Macbeth-like figure whose lust for power has led him down a road he could’ve never imagined? Perhaps it tells of a man like Harry Caul from Francis Ford Coppola’s The Conversation, who finds himself trapped by surveillance after using it for his own professional gain. Any of these would have been interesting. Instead, we get a series of expository cards and sixty seconds of a much-older looking Bulger (presumably Depp, but it could seriously be anyone) being apprehended in a parking garage. It may not sound like it, but I actually enjoyed the film. It’s worth seeing if only for Depp’s performance. It’s really incredible to stare into the face of a man who’s splattered across countless magazine covers and not recognize him because he’s slipped so far into his character. It’s thrilling to see Depp disappear deeper than even a decade of makeup-caked faces would allow. It’s not that Black Mass is bad; it’s that it could have been so much more. See it, yes, but wait for the rental.